The music and dance styles of Bengal are divided into three categories: classical, folk, and modern. The folk and Indigenous music and dance forms of Bengal are of Indigenous origin and rooted to the soil of Bengal (Bangladesh and West Bengal, India). It has a rich tradition of folk songs, with lyrics rooted into vibrant tradition and spirituality, mysticism, and devotion. 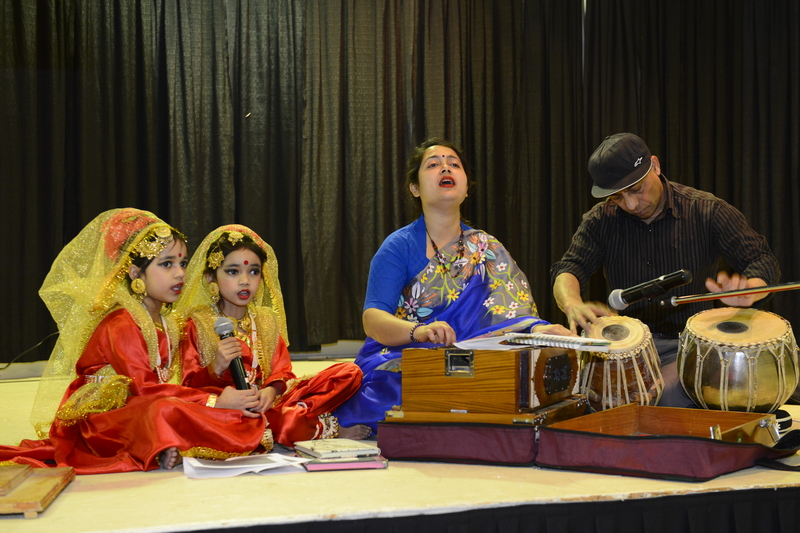 Please join us and enjoy Bangla song and dance performance with Jebunnessa Chapola and her little daughters Prarthona and Prokriti.